Product prices and availability are accurate as of 2019-04-18 22:05:57 BST and are subject to change. Any price and availability information displayed on http://www.amazon.co.uk/ at the time of purchase will apply to the purchase of this product. 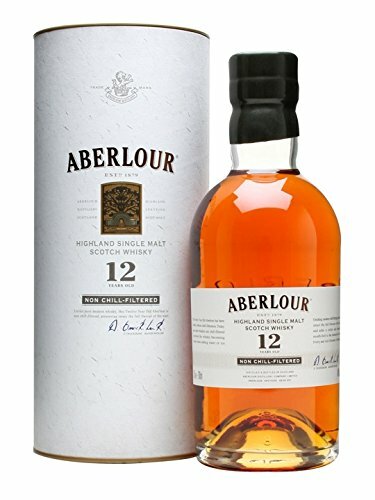 An interesting variant on Aberlour's usual 12 year old whisky, not only changing the proportions of different whiskies that are used to make the expression, but also leaving it un-chillfiltered. This means that it retains the full body and flavour of the whisky from the cask, although it may go cloudy if water is added or it gets cold. Case of 12 ABV: 48% Scotch Malt Whisky from the Speyside Region of Scotland Savour it neat, on ice, with a mixer or in a cocktail. It is an offence for any person under 18 years to buy or attempt to buy alcohol. Please drink responsibly.